Michael Damian Thomas is the four-time Hugo and Parsec Award-winning co-publisher and co-editor-in-chief of Uncanny Magazine with his wife, Lynne M. Thomas. In this editorial role, they have also been finalists three times for the World Fantasy Award and finalists twice for the Locus Award. 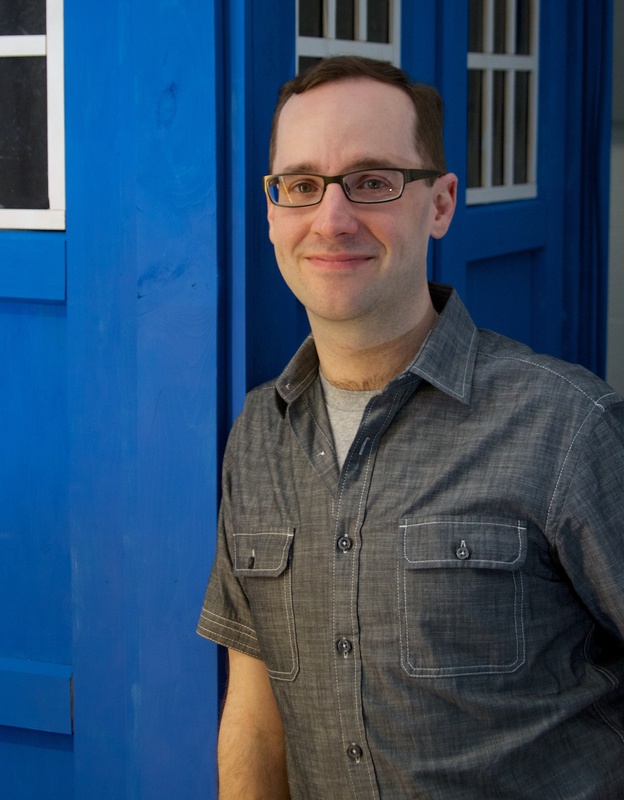 Michael was a two-time Hugo Award finalist as the former Managing Editor of Apex Magazine (2012-2013), co-edited the Hugo Award finalist essay anthology Queers Dig Time Lords (Mad Norwegian Press, 2013) with Sigrid Ellis, and co-edited the anthology Glitter & Mayhem (Apex Publications, 2013) with John Klima and Lynne M. Thomas. He has also worked as an Associate Editor on numerous books at Mad Norwegian Press, including the Hugo Award-winning Chicks Dig Time Lords (edited by Lynne M. Thomas and Tara O’Shea, 2010) and Hugo Award finalist Chicks Dig Comics (edited by Lynne M. Thomas and Sigrid Ellis, 2012). Michael was additionally a contributor to the SF Squeecast podcast (with Elizabeth Bear, Paul Cornell, Seanan McGuire, Lynne M. Thomas, and Catherynne M. Valente) and was a contributor to the Down and Safe- Blake’s 7 podcast (with Amal El-Mohtar, Scott Lynch, and L.M. Myles). Michael lives in Urbana, IL, with his wife Lynne and their daughter Caitlin,Caitlin has a rare congenital disorder called Aicardi syndrome, and Michael is her full-time caregiver and an advocate for disabled children. Michael has also worked as an advocate for children with disabilities. He was chair of the City of DeKalb Advisory Commission on Disabilities, co-chair of the DeKalb County Local Interagency Networking Council, and on the convention planning committee for the Aicardi Syndrome Family Conference. Michael is an active volunteer in SF/F fandom. He was head of programming for Capricon 32, Hugo Voter Packet Administrator for Chicon 7 (Worldcon), ran the book signings and accessibility at two SFWA Nebula Conferences, and has contributed to numerous fanzines.